The Internet of Things has breathed new life into business practices in every industry due to the proliferation of smartphones and intelligent sensors. But the data gathered from these sensors only holds value if it can be used to generate actionable insights which can help to reduce costs, increase efficiencies, or unearth new opportunities. In our numerous interactions with prospects and clients, we have realized the disconnect between management and IT. Businesses need to get IoT-ready using the right IoT platform and implementation partner. 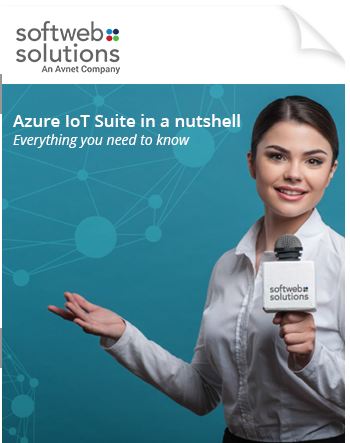 This whitepaper talks about IoT and the cloud and explains everything that you need to know about the game changing capabilities of the Microsoft Azure IoT Suite. What is Azure IoT Suite? © Softweb Solutions Inc. (An Avnet Company) All rights reserved.